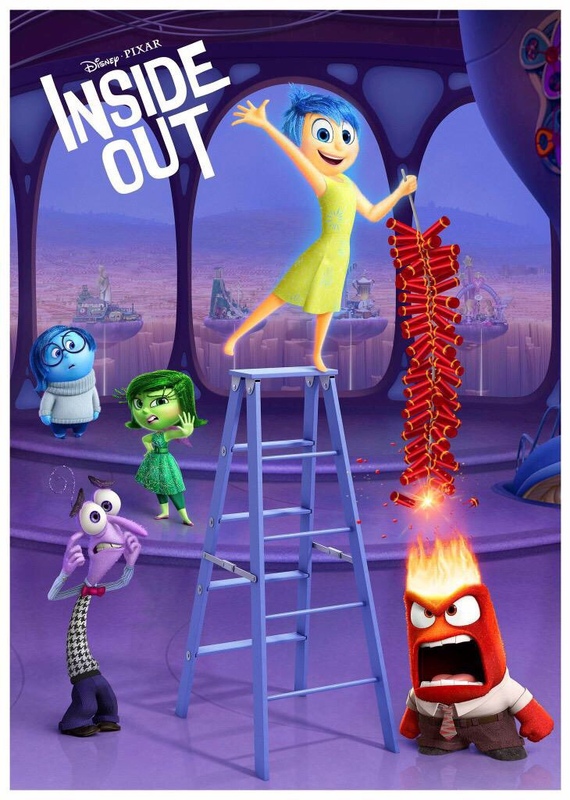 While the trailers didn't manage (or maybe didn't even try, because they left me entirely indifferent) to grasp the entire concept of the latest Pixar adventure, the movie needs mere seconds to sell the audience on its premise. It all starts with a birth: Emotions (joy, sadness, anger, fear, disgust) are working hard in their headquarters inside our heads. Dreams are made in a film studio nearby. Imagination is a wild amusement park. Our character traits and interests are like islands that have to be maintained. The train of thought runs through it all. Our memories are marbles in the color of the emotion we connect with them. This concept is as simple as it is brilliant and beautifully solved here. The design of this entire world is absolutely gorgeous and makes perfect sense in the film's own logic. It wouldn't be Pixar if they didn't manage to create an exciting and deeply moving adventure around this concept. A smart, heart-warming and funny film that may be a little too weird and abstract for the youngest kids. But adults may even get even more from this in exchange. Lovely! PS: the greatest laugh (for cat lovers) comes with the end credits.